Three police sources said the suspect had shouted “Allahu Akbar” (God is greatest) as he carried out his attack at Marseille’s main railway station. The two victims—one aged 17 and the other 20—suffered gory injuries, two police sources said, saying one had her throat slit while the other was stabbed in the stomach. “If the military had not been there, we would have had a lot more deaths,” Samia Ghali, lawmaker for the Marseille region, told France Bleu Province radio. Some 200 police officers had cordoned off the area and all roads were closed to traffic, with security forces saying the operation was still ongoing. The Paris prosecutor opened a counter-terrorism probe. France has been in a state of emergency following a spate of attacks by Islamist terrorists over the last two years, including attacks in Paris in November 2015 which killed 130 people. Other countries, including Britain, Germany and Belgium, have also suffered attacks using knives, guns, explosives and vehicles. She added that she saw soldiers from France’s Sentinelle force who were patrolling in the area arrive on the public square at the Gare Saint-Charles station. Two police sources said the attacker had been carrying a butcher’s knife, was around 30 years old and of North African appearance. One of the sources said no identification papers were found on him. 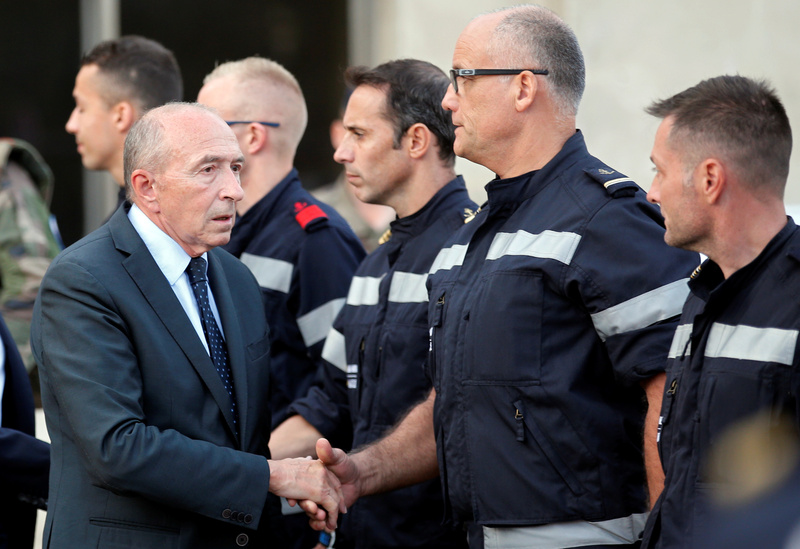 Interior Minister Gerard Collomb said he was heading to the site of the attack. “We have generally avoided these sorts of attacks in Marseille,” regional president Renaud Muselier, who was speaking from the site of the killings, told BFM TV. 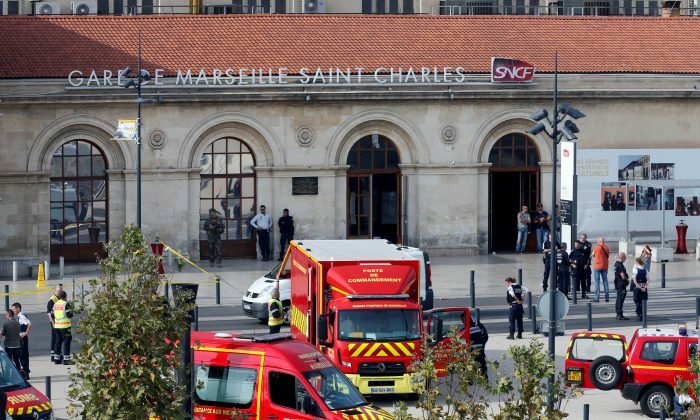 The SNCF railway operator urged people to avoid all travel to the transport hub. Some 200 trains have been diverted or are waiting at regional stations. Security forces have increasingly been targeted by terrorists who have carried out several knife attacks on them, most notably in June 2016, when a Frenchman who pledged allegiance to ISIS terrorist group stabbed a police commander to death outside his home and killed his partner. French lawmakers are due to vote on a much-criticized anti-terrorism law on Tuesday, which would enshrine some state-of-emergency powers into law and could reduce the number of military personnel on the ground. “The presence of Sentinelle soldiers, their speed and efficiency ensured that the death count was not bigger,” police union official Stephane Battaglia told Reuters. “Sentinelle is an essential addition to the security forces during the state of emergency and the fight against terrorism,” he said.